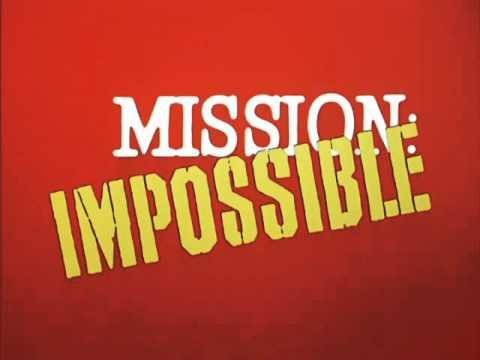 Is better Management Information Mission: Impossible? To answer this question we really need to clarify the meaning of ‘Management’. The word ‘Management’ could mean a role, a set of behaviours, a process, a service. Its efforts could act to control, to direct resources, people, time, materials, money. The concept of Management is broad with many contexts; Project, Risk, Pain, Waste, Demand, Team. The one thing that all forms of management have in common though is the making of decisions. A decision is a choice to change something in the pursuit of a goal. That’s the real job of management of all kinds; to make decisions which make things better. What people actually do all day long in organisations is make decisions. ‘Well Managed’ or ‘Poorly Managed’ things are the result states of those decisions. Organisations make a decision before they can manage anything to create value. But the process by which decisions are made is often hidden and so goes undervalued. There’s little feedback evidence about whether decisions were good or not, often through fear. Its rare too for organisations to focus on hiring for, or developing decision-making skills. Yet the ability of individuals and teams to make good decisions might be the single factor which separates success from failure in just about any field. Look at Tetlock’s work with Super-forecasting, Gary Klein’s Recognition-Primed Decisions, Ray Dalio’s Principles for the Bridgewater hedge fund. Think about the human traditions of village elders, wise old sages, mentors, revered for their rich experiences and balanced worldviews. Every decision involves a prediction about the future. Every decision involves a prediction about the future. We can’t fully know the consequences of a choice until some time after it has been made. We spend our lives from birth learning to predict cause and effect; If I do this then that will happen. If I cry then I’ll get food. If I stop pedalling then I’ll fall off. We act on a causal claim that one choice is more likely to lead to a goal than another. We might expect that the older we are, the richer this causal model. These claims encapsulate our personal degree of belief, a subjective probability about cause and effect. Some beliefs come with a comforting near-certainty, others with a terrifying uncertainty. Our degree of belief about how the world truly works is an invisible frame, a lens, one which guides or distorts our choices and their consequences. One person’s beliefs are shaped differently to another’s; sometimes deeply held, ideological and in violent conflict. The freedom and agency of choice is the human condition. But a reliance on our beliefs, mistaking them for truths, can trip us up. Our mental models can depart alarmingly from reality. We may act impulsively, harming our own long term interests. We then go to extraordinary lengths to deny being wrong. Only recently has cognitive psychology and behavioural economics begun to enlighten (and embarrass) us about ourselves. Information is the evidence which alters those beliefs. When consumed, it updates and shifts our degree of belief. Some information reduces uncertainty, error in our beliefs, bringing them closer to reality. Armed with less uncertainty, a more accurate belief, we should make better choices. Other information, or its interpretation, poisons and distorts our beliefs, pushing them away from reality. Sometimes we fool ourselves by only seeking information which supports our beliefs, in fear of having our claims or our very identities undermined. For many, Management Information – MI for short – is a pack of reports produced by the Finance department. Or MI is reserved for leadership teams, separated from the daily work in both time and place. For others MI is synonymous with technologies; SQL, data warehouses, BI & reporting tools. Whatever the scope, MI only has value if it produces better decisions. There are many ways in which better MI can improve decisions, some surprisingly simple. Above all, the secret to creating valuable MI is knowing what those decisions are. MI only has value if it produces better decisions. And the secret to creating valuable MI is knowing what those decisions are. So for us, Management Information is fundamentally Decision Information. It is the feedback signal for changing the systems which make up our world. It continuously updates our beliefs, nudging them closer to reality so the decisions we make are better ones. It is both the evidence we need to make specific decisions and the evidence of whether they are working. At Measureology we do Decision Information Design. Its mission is to help people to see the best information for making the best decisions. Actually, it’s a bit more than a mission, it’s an obsession.